daily timewaster: Watch out, Euros! 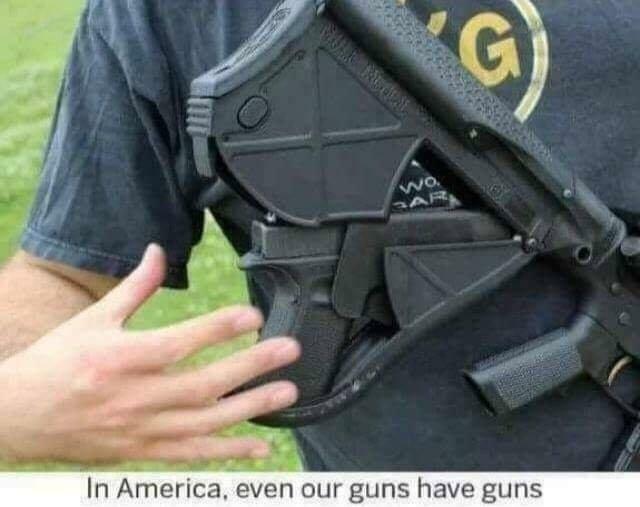 Guns everywhere. I was looking at that for an AR-10mm SBR/pistol I am currently gathering parts for. A G20 in the stock with 15 rounds of 1600fps 135gr JHP in a AR-10mm SBR with 29 round magazine shooting the same round at 2000fps. Very similar to the ballistics of the .30 carbine in the pistol and rifle but at larger bore. There should be a derringer in the pistol grip too. is that going to require a CCW permit?? ?